You will learn how to hide pictures on Android without apps in this article today. A picture they say, speaks more than words can. However, if you have some pictures that are not to be made public or seen by third-party you can hide them. There are various ways to hide pictures on Android devices. Whether you are using Samsung, LG, Infinix mobile, Tecno, iPhone 6, Xiaomi, and other smartphone devices. To hide a picture in an Android phone, such a picture must be in a hidden folder where no one can have access to it. Taking security control of your Android phone is not enough to hide photos on your device. However, a lot of Android users prefer to hide media on their device using AppLock using a discrete password as the access. This is sound and health, but the moment another person know the password to the AppLock, all the information on the device is no longer hidden. There are a lot of Android apps to hide files and folder on Android phone using a password different from screen lock password, FingerPrint scanner, and Face lock identification to unlock your device. 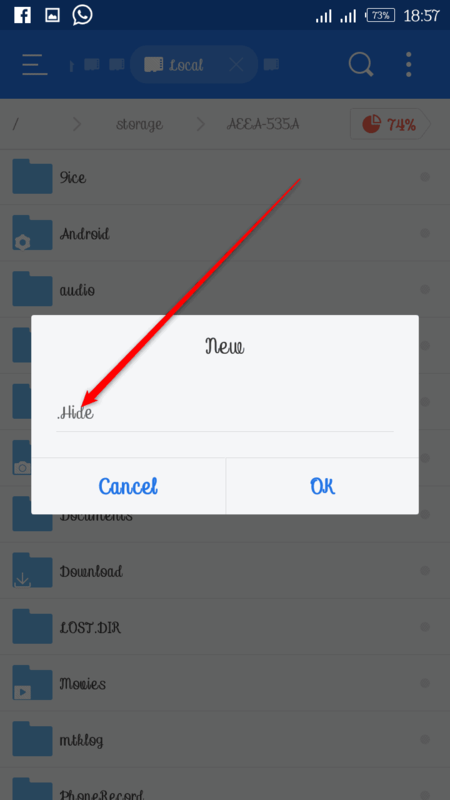 Therefore, this article gives a descriptive way to hide pictures on Android gallery without a root access and without the use of a password or AppLock on your Android phone. In this tutorial, I will make use of ES File Explorer to perform the trick. 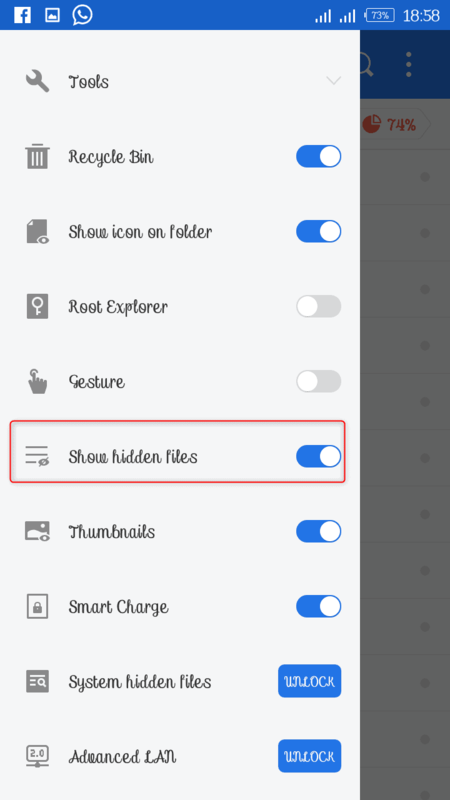 Therefore, I expect you to use the explorer and you can even try others to gain more knowledge on the simple ways to hide photos on Android using different File manager. Here is the procedure to hide pictures on most Android devices if NOT all Android devices without apps. Give your folder a name you can easily remember with a period before it [e.g.Hide] and then click OK to save new folder. Note: By default, a folder that begins with a period will remain hidden in your device unless you enable show hidden files so as to enable the new files. Navigate to your photo gallery in your ES File Explorer. Select the pictures you want to hide from your phone gallery and click on move or cut or copy and move it to the hidden folder. All the selected pictures will be moved away from the public folder and kept in the folder you created earlier. However, the folder will not be viewable until you enable show hidden files. Every time you want to hide pictures from your phone gallery just navigate to your file manager, select the pictures and move them to the hidden folder. For security measure, always disable show hidden files after moving pictures to the folder to hide them so that it will not be scannable directly from phone gallery and it will be hidden as well from your phone file manager.